How can I find my estimated shipping date? Log into your iTOVi Dashboard and click on the “Me” tab. You should see your estimated shipping date right under the person icon. What if I don’t have an estimated shipping date? Try viewing your iTOVi Dashboard on a desktop instead of a mobile device. Google Chrome seems to work best. We also recommend clearing the cache on your browser. If you still don’t see it, it may mean that your device is already on its way or a device has not been assigned to you yet. It could also mean that your account is on hold or paused due to non-payment. You can contact our Customer Support team if that’s the case. How do I know if my scanner is charging? When you start charging your scanner, the blue light will blink. The light will stop blinking while the device is still charging. It won’t hold the light like the user guide indicates. We apologize for the confusion. How do I know if my device is turned on? The iTOVi has an on/off switch on the side. “I” means on, “O” means off. The device will vibrate and light up when it’s turned on. How do I connect my scanner to my phone or tablet? Make sure that your device has charged for at least an hour and that it’s turned on. Then, turn the Bluetooth on on your phone/tablet but do not pair to the scanner. Log in to your iTOVi app and attempt to run a scan. How should I hold the scanner? We recommend using two hands during a scan. You can place your palm around the large sensor and touch the other sensor to your other palm. Cy demonstrates how to hold the iTOVi Scanner at the end of this video. How do I send a scan report to a client? Once completing the scan, you’ll have the option to email or text the report to the client. How can clients view the expanded information about each product? In the email, click on the icon to the left of each product name. Clicking this icon will expand that product to show the description and the application. Where are the Health Triad categories on the new scan report? While we no longer have the wheel at the top of the scan report, we still display which Health Category each product falls into. You can view this by clicking on the individual product and looking at the gray icon(s) in the top right corner. My last payment was declined. How can I update my payment information? Payment information can be easily updated by logging into your dashboard at itovi.com. Once your information is updated, please contact Customer Support so we can reattempt the payment. How do I change my phone number on the scan reports that I send out? How do I delete a person who is deceased, etc. Is there a key for what the three Health Categories are? I can’t find it in the app or on the itovi website. 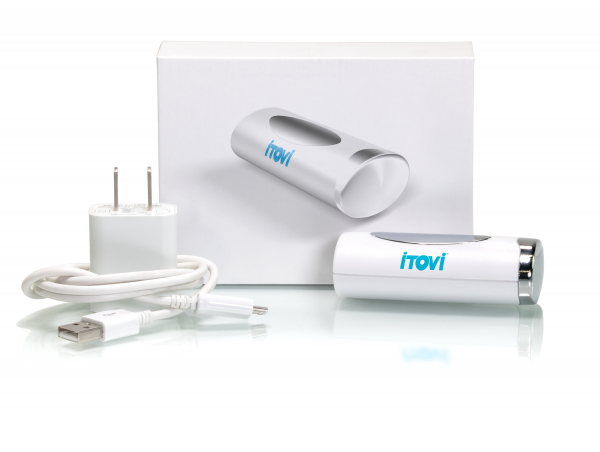 How do you know when the itovi is fully charged since you can’t tell when it is charging? How can I substitute my new ID scanner in the app? Still appears my old scanner ID. Hi Mayra, please call Customer Service, they will help you substitute your new scanner ID. Customer Service can be reached at 877-483-3748 or email support@itovi.com.